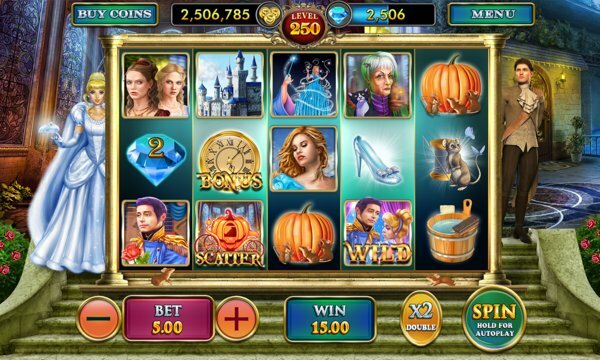 Download Cinderella Free Pokies now. 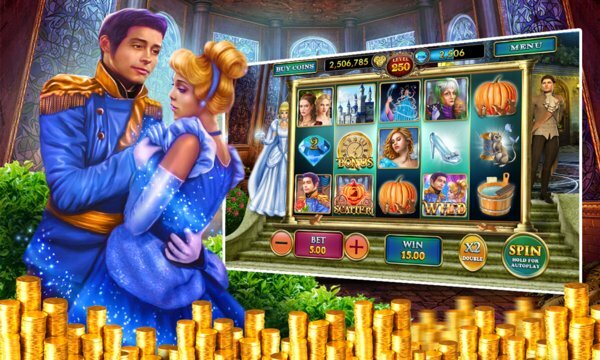 From the makers of massively popular Windows pokies, 777 Slots, comes the prettiest and most magical game of slots ever—Cinderella Free Pokies. This game is for YOU if you love storytelling and slots. Here you will meet the beautiful maiden Cinderella and her cruel sisters and mother. You will also encounter Cinderella’s prince charming as you play on the world’s most wonderful casino online. Gamble online and help Cinderella live and find her prince. Your reward will be humongous jackpot bingos. Illuminated by fantastic graphics and featuring all the major characters of Europe’s most famous story tale, Cinderella Free Pokies offers you everything you will need to enjoy a good game of free pokies and a nice retelling of your childhood’s favorite story. The game is so engaging that you will forget even the liveliest Las Vegas casinos. This jackpot casino is unlike any other free pokies game you’ll find in the Windows Store—there’s not even a hint of farcical ridiculousness that’s a common feature of other virtual Vegas casinos. Meet Cinderella and ask her to let you win at the jackpot party of your life. · Like it. Keeps me glued. I enjoy the game very much. · I'm from Vegas so naturally I love it. If only I could find one that pays out real money! · Excellent Game...by far the best slot game I have played. · The sounds are so realistic that you feel like in a real studio. Please note that although Cinderella Free Pokies is a free game, you always have the option to BUY MORE COINS with REAL MONEY. You can buy thousands of coins for merely $1.50. You can play to your heart’s content and be sure you’ll never run out of coins.